The Rushgroves is a mixed tenure development of over 380 new homes in the heart of Hendon. The development was launched by leading developer, London & Quadrant, in November 2017. As well as creating all of the 3D hero marketing images, Wagstaffs delivered an interactive digital marketing solution that would support and encourage sales both within the marketing suite as well as remotely. 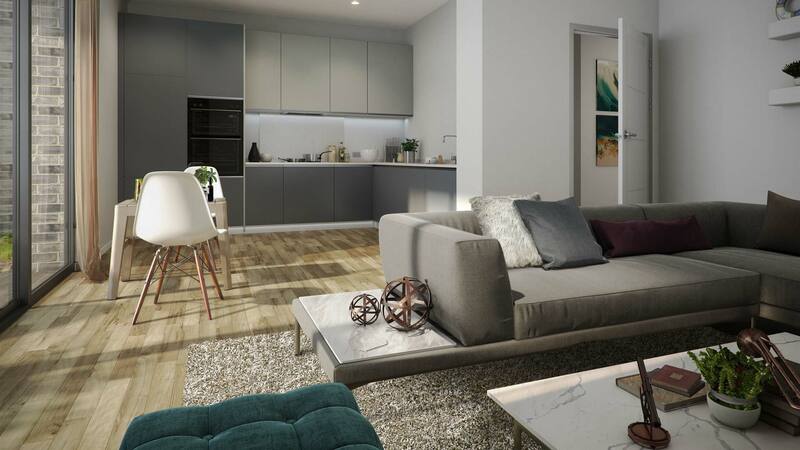 Our residential sales and marketing application, VUITNOW, allows potential buyers to take a virtual 3D tour of The Rushgroves, and find their dream home prior to its build. 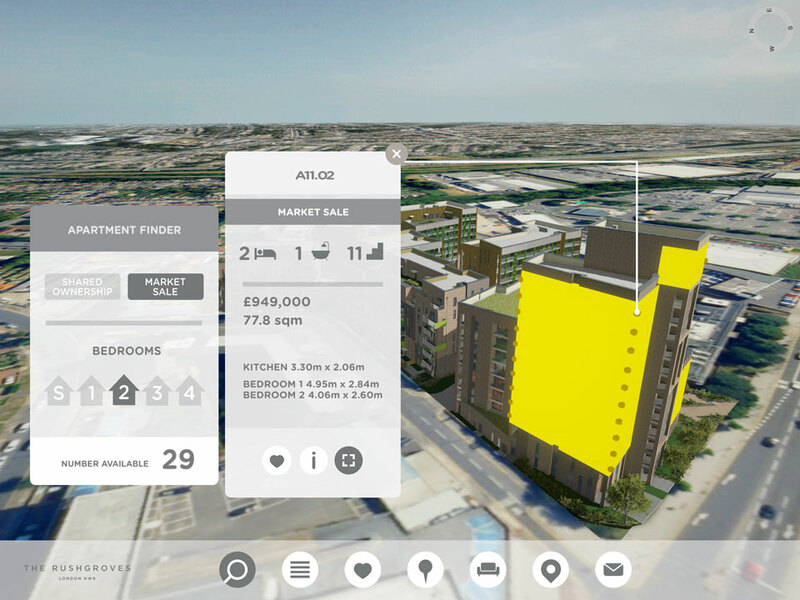 Using an iPad app in the marketing suite, users are able to search by property price or number of bedrooms, and then see precisely where each property is located, as well as its internal layout. The ability to save and compare floorplans and email a personalised gallery of screenshots to themselves, gives buyers and the sales team a one-stop digital sales and marketing solution. By taking the pricing and availability data feed direct from the London & Quadrant sales database this means that the app is always up to date. It also works with L&Q’s CRM System, feeding prospect data back to the sales team. 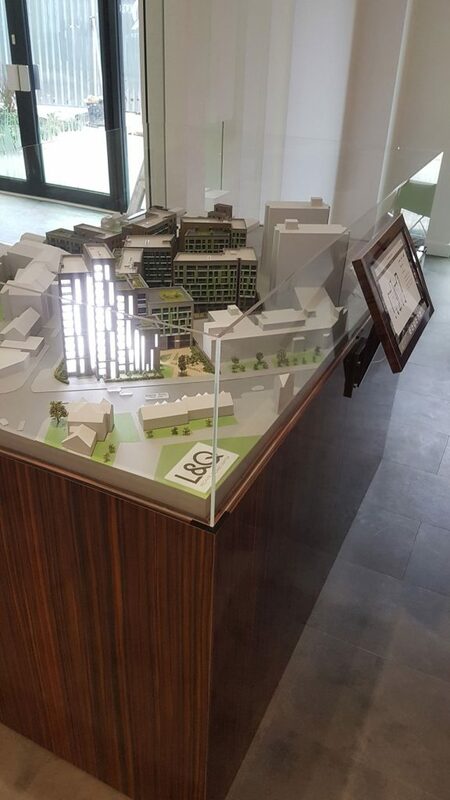 At The Rushgroves Marketing Suite, we worked closely with Hobs Studio to interactively link to a 3D physical model.